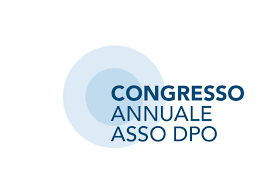 DPO Network Europe is a proud sponsor of the 3rd Annual Congress organized by the Italian Association of Data Protection Officers (ASSO DPO). DPO Network Europe is a proud sponsor of the 7th European Data Protection Days. DPO Network Europe is a proud sponsor of the 10th International Conference on Computers, Privacy and Data Protection. DPO Network Europe is a proud sponsor of the 6th European Data Protection Days. Consult here for an executive summary. DPO Network Europe is a proud sponsor of the 2nd Annual Congress organized by the Italian Association of Data Protection Officers (ASSO DPO). 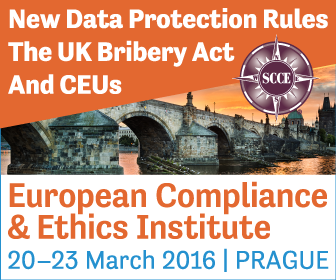 20-23 Mar 2016, Prague, Czech Rep.
DPO Network Europe is a proud sponsor of the 4th Annual Conference organized by the Society of Corporate Compliance & Ethics (SCCE) Institute. DPO Network Europe is a proud sponsor of the 9th International Conference on Computers, Privacy and Data Protection. DPO Network Europe is a proud sponsor of the 5th European Data Protection Days. Consult here for an executive summary.